As described in her diaries, Dorothy believed her main role as Bentreshyt was to play a part in the dramatized rituals of the death and resurrection of the Egyptian god Osiris, held at the Temple. More controversially, Dorothy also claimed that Sety I had fallen in love with her after a chance meeting in the Temple gardens when she had been a young priestess there. The story has a predictably tragic end as the girl discovered she was pregnant after the liaison, and, rather than expose the Pharaoh, she committed suicide. Due to her detailed knowledge of all things Egyptian, Dorothy became an extremely popular and respected figure at Abydos, socialising, giving tours of the ruins, writing papers, and even treating locals who came to her in the belief she knew the secrets of ancient Egyptian magic and healing. In fact she was a great believer in ancient Egyptian magic and the very real power of the Egyptian gods. Perhaps the most fascinating part of the intriguing story of Omm Sety are the archaeological discoveries at Abydos which were allegedly made based on advice from her ‘memories’ of her time at the site more than three thousand years before. Omm Sety’s most widely known claim involved the existance of a garden attached to the ancient Temple of Sety I. Admittedly, the majority of ancient Egyptian temples possessed gardens, but Omm Sety was apparently able to pinpoint the exact place to dig for the ruins, and also predicted that there would be a tunnel running underneath the northern part of the Temple, which was proved by subsequent excavation to be the case. Another more spectacular prediction – that underneath the Temple of Sety I there lies a secret vault containing a library of hidden historical and religious records – has yet to be tested by excavation. Omm Sety was an unusual and colourful woman, whose detailed knowledge of Egyptology and ancient Egyptian magical and religious practices was admired by all who met her, including the numerous Egyptologists who worked alongside her at Abydos. However, most researchers agree that it would have been far from impossible for Eady to have obtained her profound knowledge and understanding of ancient Egypt through normal channels of learning. Nevertheless, there is no question that Dorothy Eady / Omm Sety believed she was the reincarnation of Bentreshyt, the Temple virgin who had lived at Abydos during the 14th century B.C. Perhaps one day new light will be shed on the case of Omm Sety as further archaeological discoveries are made at Abydos, or when the unpublished parts of her voluminous diaries finally appear in print. Cott, J. The Search for Omm Sety. New York, Doubleday, 1987. Eady, D. L. Omm Sety’s Abydos. (Society for the Study of Egyptian Antiquities Publications), Benben Publications, 1983. James, P. & Thorpe, N. Ancient Mysteries. New York, Ballantine Books, 1999, pp584-598. 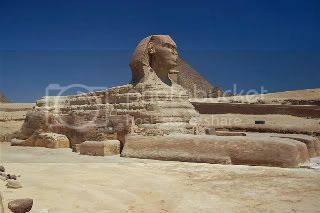 Zeini, Hanny El, Dees, C. Omm Sety’s Egypt. : A Story of Ancient Mysteries, Secret Lives, and the Lost History of the Pharaohs. Pittsburgh, PA, St. Lynn’s Press, 2006. Powered by WordPress v 4.9.10. Page in 0.196 seconds.